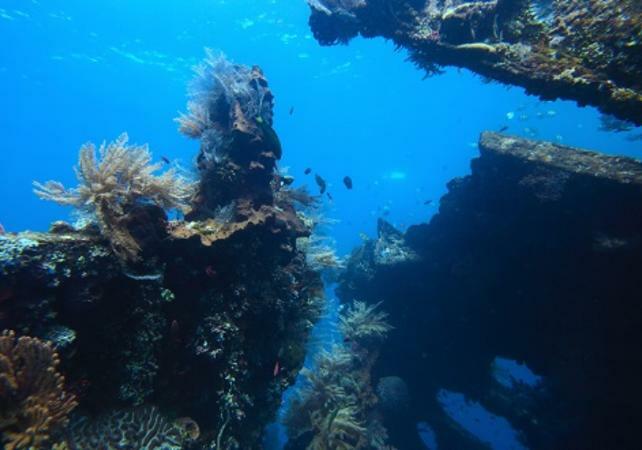 Learn to dive in Tulamben, Bali's top diving spot! A shuttle bus will come and collect you from your hotel and take you to Tulamben, in the north-east of Bali. 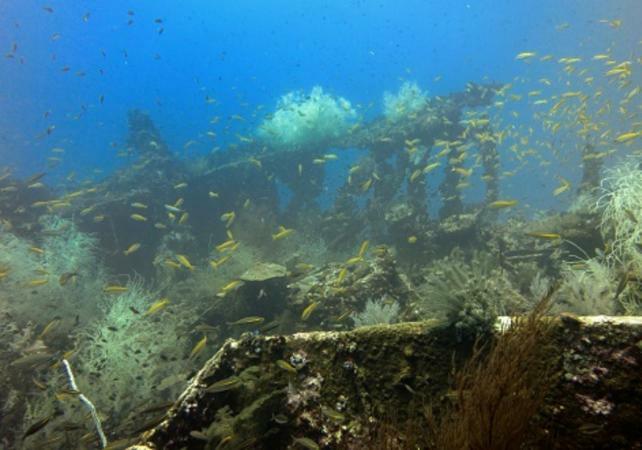 Your day will include two dives in the bay to explore the coral garden and the Liberty shipwreck. 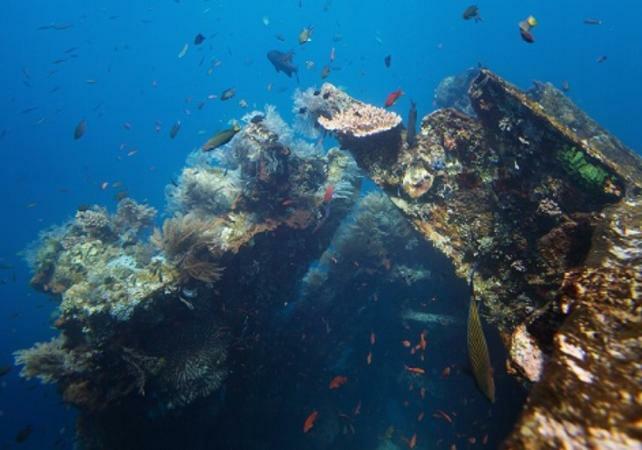 The Liberty, which is 120 metres long, is the wreck of an American ship that was torpedoed by the Japanese in 1942. 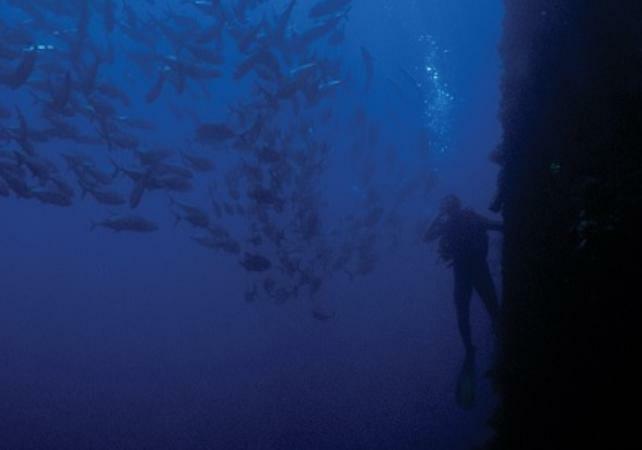 It is now home to a wide variety of remarkable marine species. As you swim around, you will meet clown frogfish, humphead parrotfish, bigeye trevally, pygmy seahorses and even leaf fish. 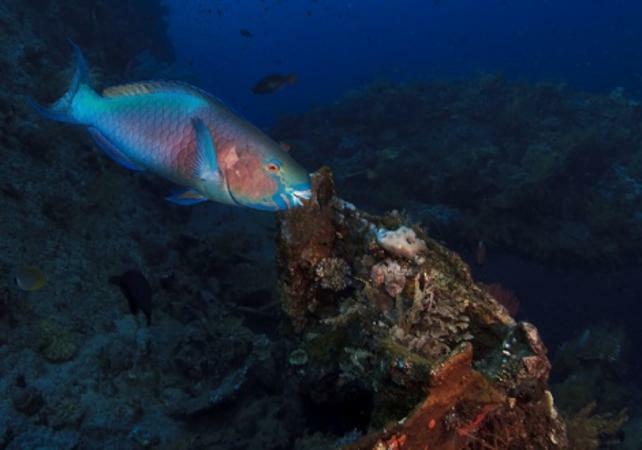 On your dive in the coral garden, which is situated to the east of the wreck, you can admire the corals, the gorgonian sea fans and other marine species such as ribbon eels, sponges, harlequin shrimps, and many more. Your lunch will consist of local culinary specialities or Western dishes depending on your choice. 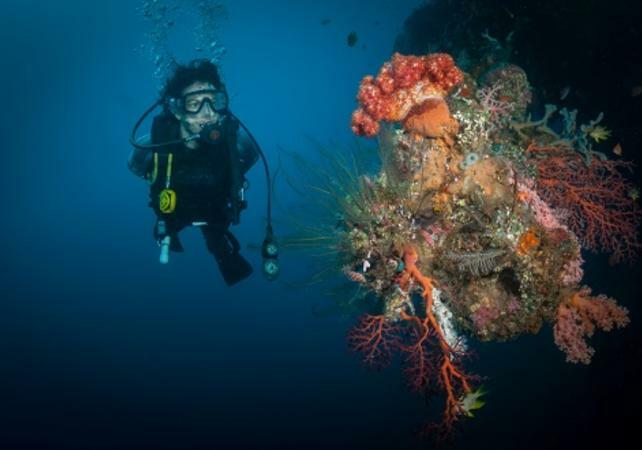 Your will enjoy the two dives which will allow you to discover the different points of interest in Tulamben Bay! This activity is not suitable for non-swimmers. Please note: this activity is not suitable for non-swimmers.